The Repertoire 1 series consist of longer pieces designed for performance. Each piece is composed with elements, techniques, and rhythms learned in the Musicianship series. The phrasing and dramatic elements are presented in a challenging and exciting way. 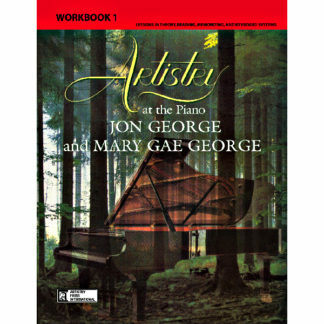 While Repertoire 1 is designed for Beginning/Elementary pianists, each quality piece has its own unique character which entice students to play and audiences to enjoy.